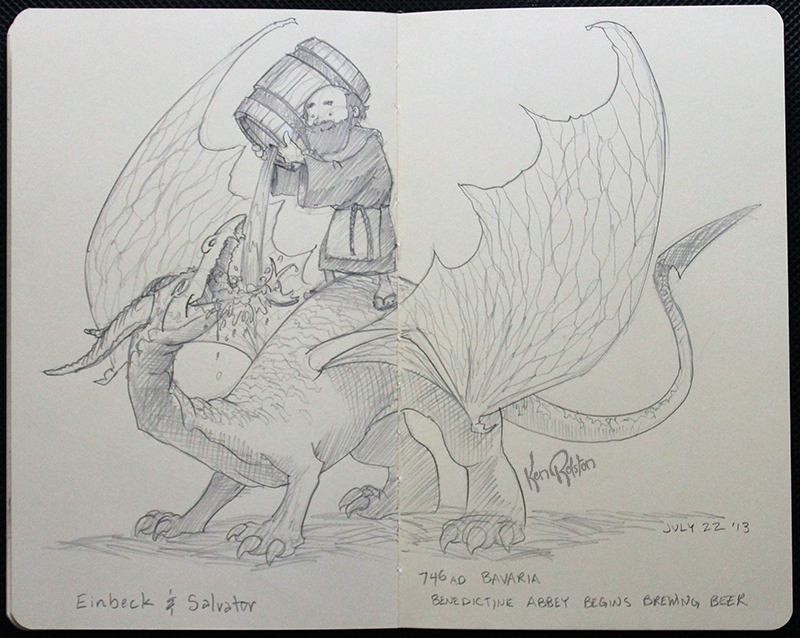 Dragon 579 – Salvatore feeds the local monastery mascot his breakfast of beer. In 746 AD a monastery in Tegernsee began brewing it’s own beer. I couldn’t really use the usual childlike character for this one, so I made him an older monk.